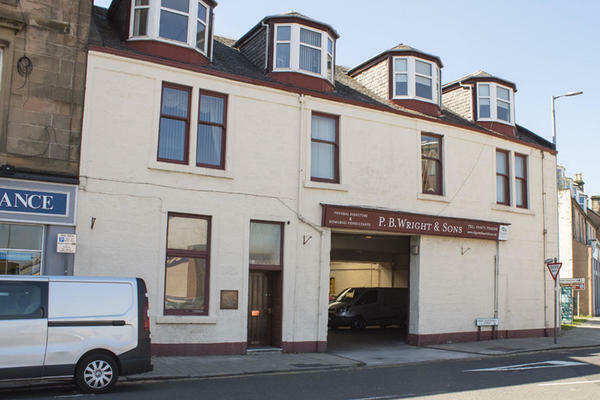 P B Wright & Sons Funeral Directors are funeral professionals dedicated to providing the highest standards of funeral care, service and facilities to the local community of Greenock. We treat every family in our care with utmost kindness, compassion and respect, doing everything we can to make things a little easier for you and your family. From our funeral home in Inverclyde, we cater to all types of funerals, whether that means more traditional religious and non-religious services or something more bespoke. With our knowledge and experience we can plan something a little different, such as a woodland burial or colourful celebration. Whatever you have in mind, we are able to help you. You can reach us by telephone 24 hours a day, so if you need any advice, guidance or support, please get in touch at a time that suits you. Our staff are available 24 hours a day on 01475 724248 if you require our services outside of these hours.